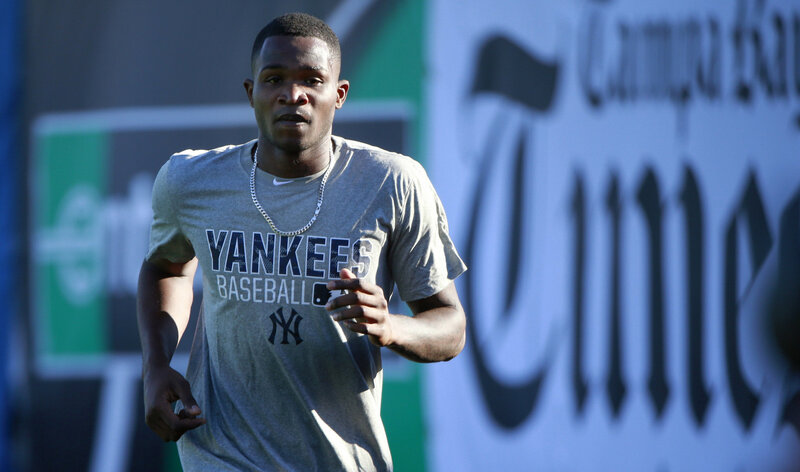 The Greedy Pinstripes: Is it Finally Time for Domingo German? The youth movement is in full effect here in the Bronx and the team is only going to get younger and more homegrown as this year and next year pass. Out with the old and in with the new is the ultimate saying and as the Alex Rodriguez’s and the Mark Teixeira’s retired last season we saw the emergence’s of Greg Bird, Aaron Judge, Tyler Austin and others. Now as CC Sabathia inches towards an end to his Yankees tenure and many others begin their downhill climb towards free agency or retirement the Yankees will need some fresh arms to fill the void. Is one of those arms potentially, and finally, going to be Domingo German? If you don’t remember Domingo German he was one of the prospects thrown into the deal that sent Nathan Eovaldi and Garrett Jones to the Yankees while Miami got Martin Prado and David Phelps. For a long time this was considered to be a “lost” trade for the Yankees but two years later and with German finally healthy it seems like the Yankees are ready to turn that trade around just a bit. German missed the entire 2015 season with Tommy John surgery and was non-tendered before being re-signed eight days later to a new minor league contract. In 2016 German returned to the mound on June 26th and finished the season with a 3.12 ERA and 1.047 WHIP between Single-A Charleston and High-A Tampa. German had his doubters coming through the system and I can even remember reading that his 2015 Tommy John surgery would likely be the end of his career but somehow German has come back stronger and better than he has ever been. German, listed at 6’2” and 175 pounds while capable of throwing in excess of 95 MPH, has worked on a curveball and a changeup to compliment his powerful fastball and many scouts think this can explain the sudden growth from the right-hander. German may be far away but he is on the team’s 40 man roster so a call up is not completely out of the question this season. It may be as a September call up or it may be in an emergency but this season we could totally see German. I won’t be the one to count him out.